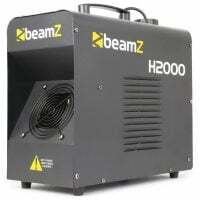 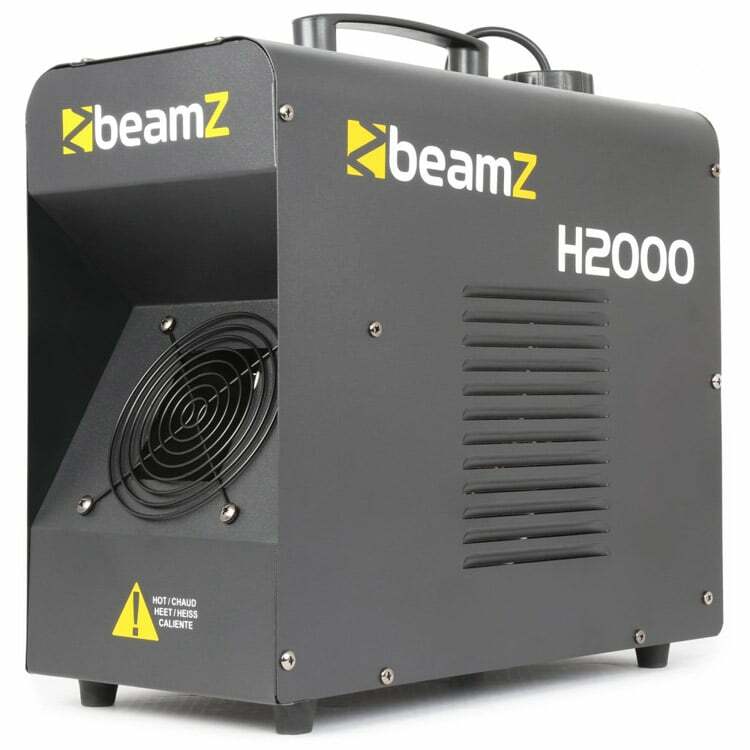 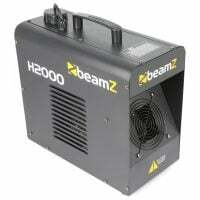 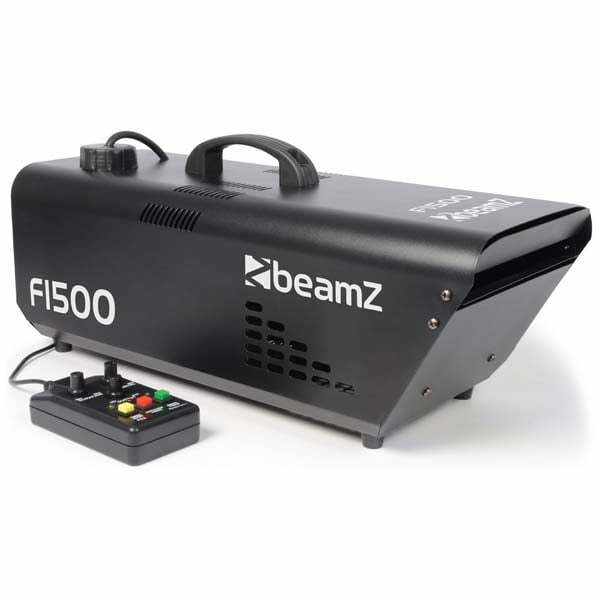 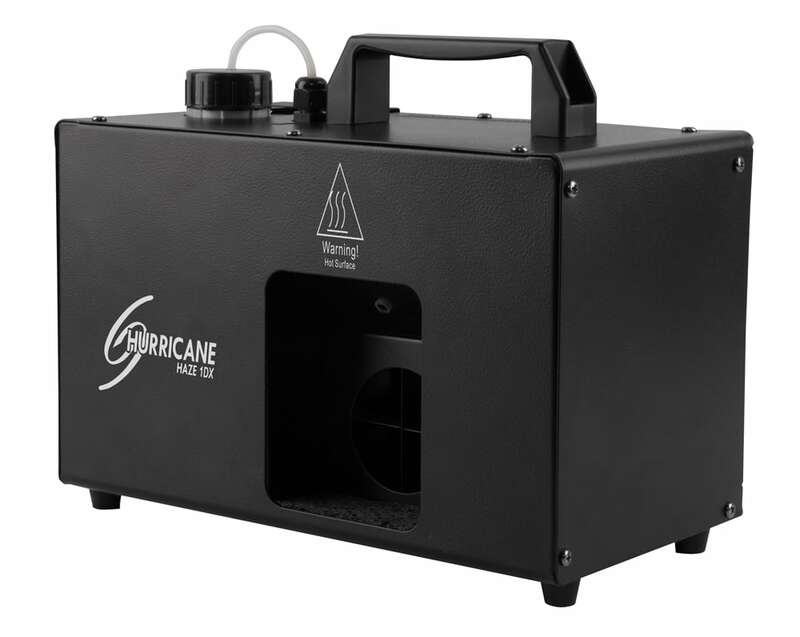 The Beamz H2000 is a compact 1700W faze machine with continuous output. 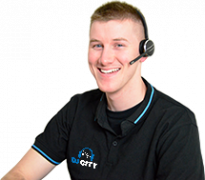 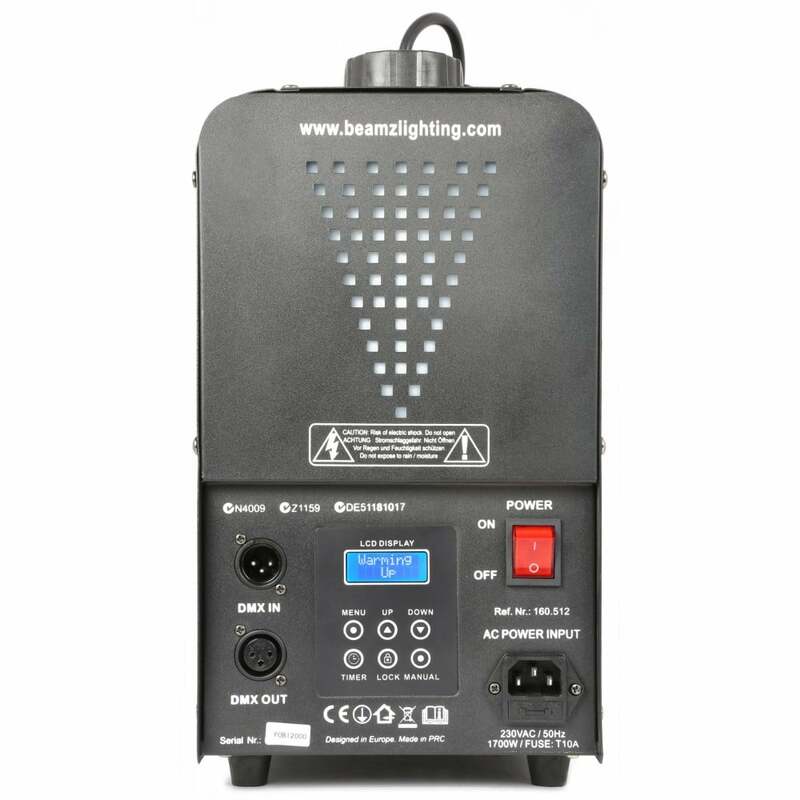 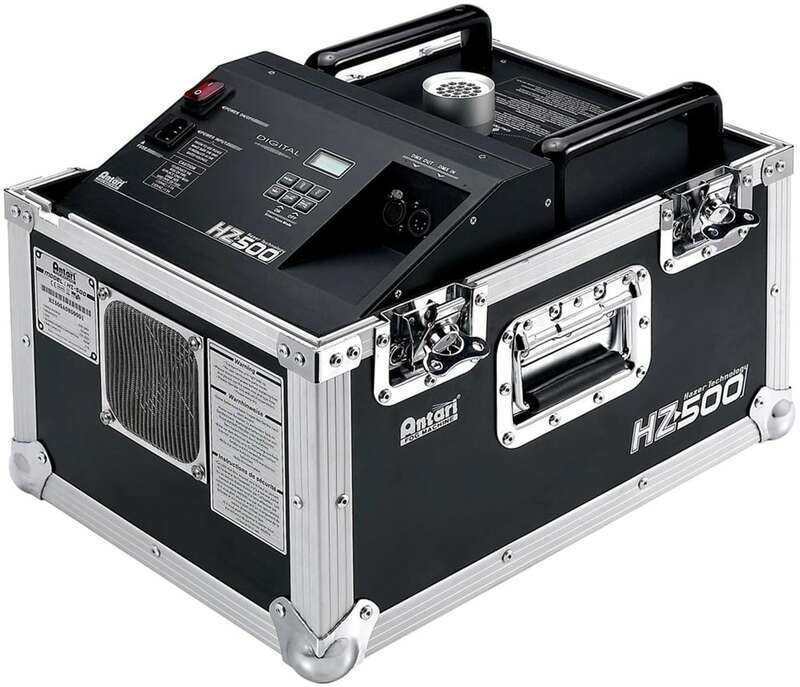 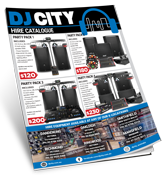 The digital LCD display lets you set DMX and stand alone functions. 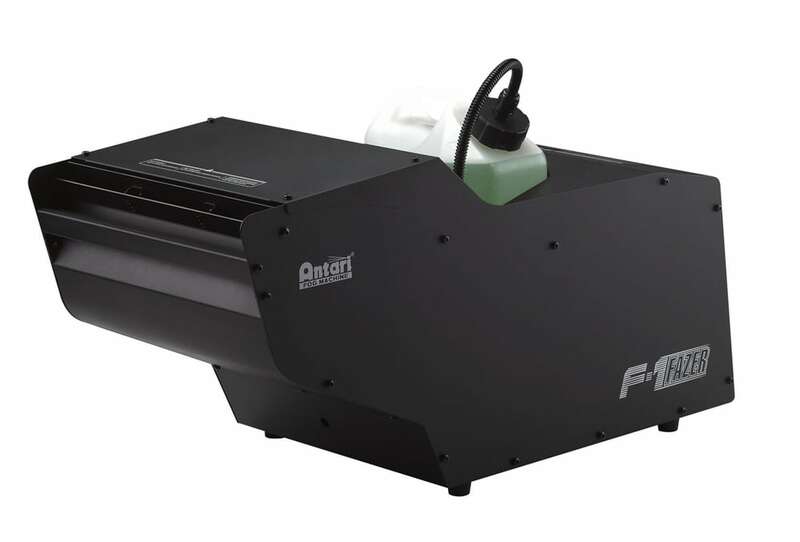 The fazer features adjustable fan speeds and output to get the desired faze effect.